Here at ChiIL Live Shows, we adore Lucky Plush. Their creative, story based approach to dance pushes the boundaries of the medium and is as playful and fun as it is powerful. 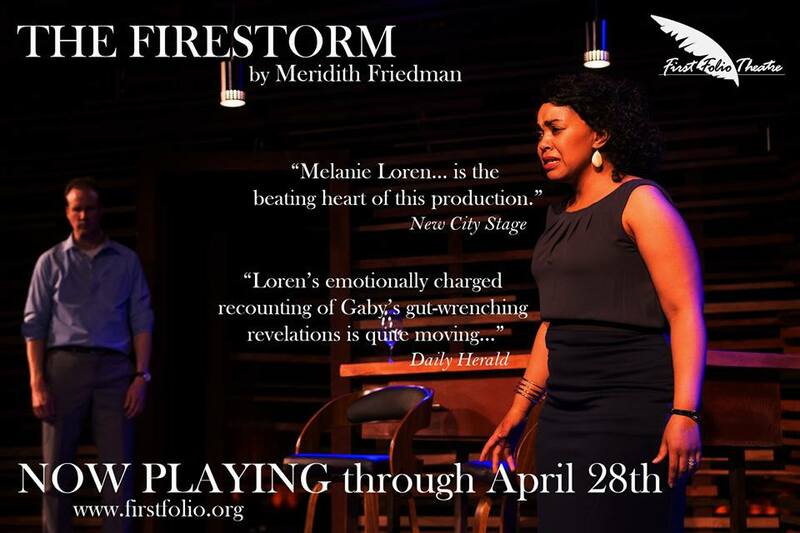 We thoroughly enjoyed their inaugural Lookout Series piece, Rooming House, in Steppenwolf's 1700 Space, last fall and we're eager to catch The Better Half, a remount of one of their past favorites we have yet to see. Their pieces have a natural, organic feel that at times plays out as much like process as performance. Improv games, warm ups, and rehearsals are all likely to wend their way into Lucky Plush's finished works. The audience is often left feeling privy to a glimpse behind the scenes. They're favorites of ours and we can't wait to see what's next. Catch a sneak peek at their newest work in progress, Rink Life, twice during the run of The Better Half on Saturday, November 10 and 17 at 5 p.m.
Last year at this time, Lucky Plush premiered Rooming House in the company’s inaugural outing as part of Steppenwolf’s LookOut series, and went on to sell out its entire three-week run. 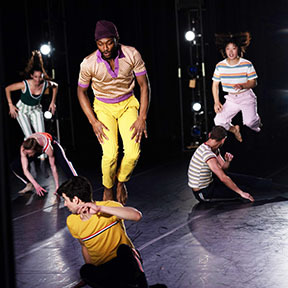 Next, Rooming House will go on tour in the spring, culminating with the company’s Kennedy Center debut, May 2-4, 2019, as part of the Kennedy Center’s 2018-19 Ballet and Contemporary Dance Series. One of the company’s most acclaimed works, The Better Half is a lively spin on the noir classic Gaslight that playfully captures the claustrophobia, escapist tendencies and resilience in domestic relationships, in a dance theater language full of surprising turns and contemporary resonance. The 2011 premiere was the first collaboration between now frequent creative collaborators Julia Rhoads, Lucky Plush founder and artistic director, and Leslie Danzig, formerly of 500 Clown. Performances of The Better Life are November 2-17 at Steppenwolf’s 1700 Theatre, an 80-seat cabaret-style space connected to Steppenwolf’s own Front Bar: Coffee and Drinks, 1700 N. Halsted St., Chicago. Show times are Thursdays, Fridays and Saturdays at 8 p.m. Press opening is Saturday, November 3 at 8 p.m. Industry nights are Monday, November 5 and 12 at 7:30 p.m. 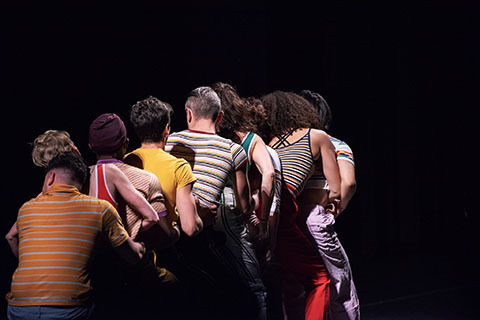 Note: Twice during the run of The Better Half – on Saturday, November 10 and 17 at 5 p.m. – Lucky Plush will also present two work-in-progress showings of Rink Life, the company’s next world premiere, and recent recipient of a prestigious National Theater Project Award. Rink Life is a unique dance theater piece that nods to the visual aesthetics and social dynamics of 1970’s roller rink culture. 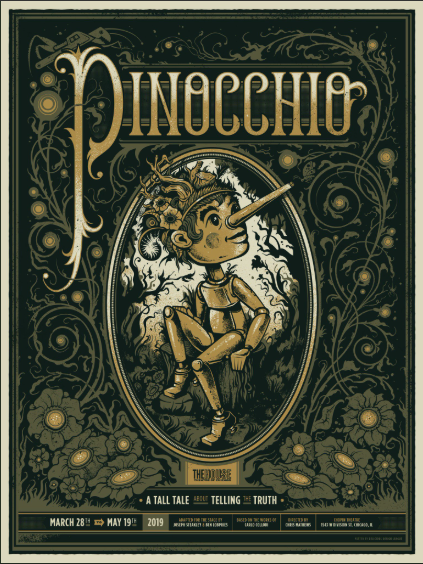 Both performances will be followed by a post-show discussion, giving audience members a unique peek into the developmental process. Tickets to Rink Life are $25. Or, take advantage of a discounted $60 ticket to a Saturday double feature of Rink Life at 5 p.m. and The Better Half at 8 p.m.
Lucky Plush Productions at the 1700 Theatre is presented as part of LookOut, Steppenwolf’s performance series that presents the work of artists and companies across genre and form, emerging artists and performance legends, quintessential Chicago companies and young aspiring ensembles, familiar Steppenwolf faces and new friends. For more information, visit steppenwolf.org/lookout. Watch Adrian Danzig and Julia Rhodes perform in The Better Half. The Better Half (Promotional) from Lucky Plush Productions on Vimeo. 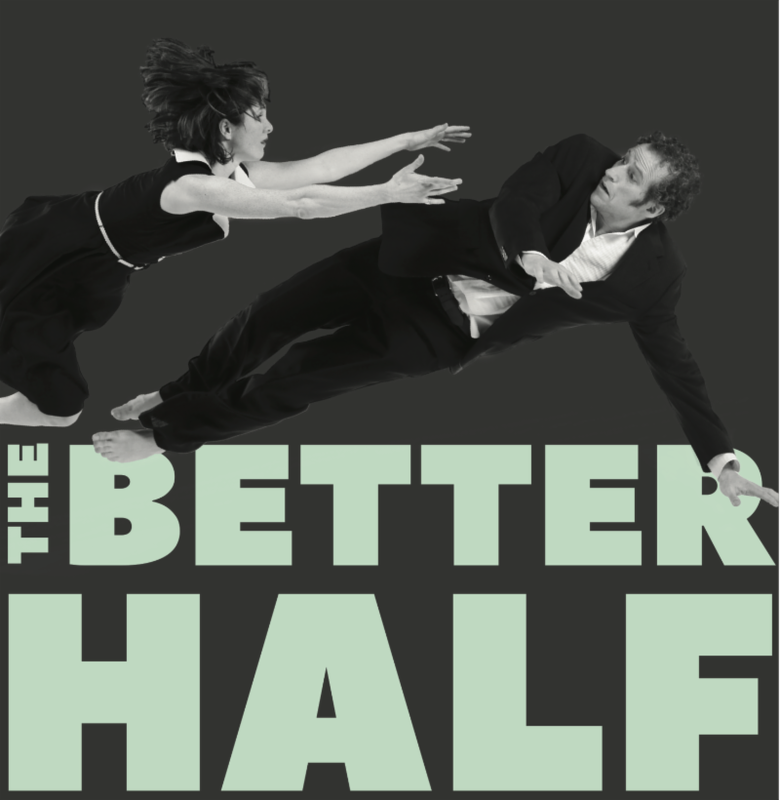 The Better Half premiered in 2011, was named to Newcity’s "Top 5 of Everything: Stage" and hailed “a piece of tremendous humor, humanity, and...smartness." Chicago Public Radio (WBEZ) included it in their Top 5 of "2011's Funniest Shows." The work was described as “skipping like a spinning stone across its surfaces like a perfect piece of pop art” by Time Out Chicago and “improvisational, funny...[with a] powerful climax” by the Chicago Tribune. The Boston Globe wrote “delicious humor and a dark, poignant undercurrent…both charming and memorably provocative." The 2018 return of The Better Half reunites Lucky Plush founder Julia Rhoads and Adrian Danzig, who originated their on stage roles in 2011, and is newly devised with the current Lucky Plush ensemble. Launching from the classic film Gaslight, layers of fiction and reality accumulate, revealing the elusive boundaries between performer and character, actual and scripted relationships, life versus borrowed plotlines. 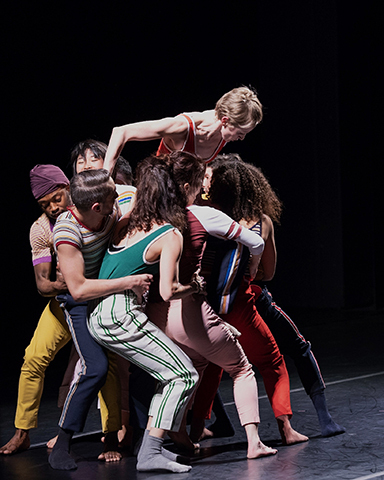 Ultimately a new narrative emerges, capturing the habitual patterns, escapist tendencies, and resilience in contemporary relationships through a complex mix of dance and theater languages. The Better Half production team includes Heather Gilbert, lighting design, Mikhail Fiksel, composter/sound design, and John Boesche, video design. 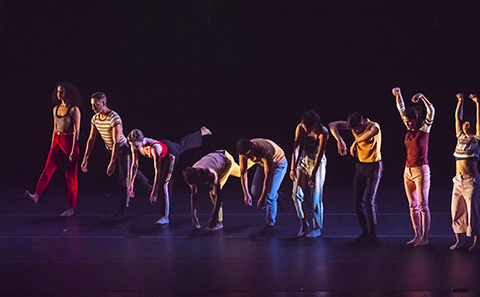 The creation, presentation, and touring of the premiere version of The Better Half (2011-2014) was originally made possible through the support of many generous individuals, partners, and awards, including: National Dance Project, with support from New England Foundation for the Arts in cooperation with National Endowment for the Arts; National Performance Network Creation Fund, with commissioning partners Museum of Contemporary Art Chicago and Clarice Smith Performing Arts Center; Audience Architects’ New Stages for Dance, with leadership from Dance/USA and MetLife Foundation; Pamela Crutchfield; The Elizabeth F. Cheney Foundation; the Richard H. Driehaus Foundation; and Boeing. In Rink Life, Lucky Plush brings its highly integrated brand of dance-theater into a communal space that nods to the visual aesthetics and social dynamics of 1970’s roller rink culture. Launching from a collision of plot points in several one-act plays, the script-turned-libretto is both spoken and sung by the ensemble and builds upon fragments of everyday aural input—passing conversations, intimate exchanges, distant whispers, pop song ear-worms. These source inspirations come together in the delightful and moving world of Rink Life, where people navigate relationships, self-expression and rejection in real-time. Concept, direction and choreography for Rink Life are by Julia Rhoads. Leslie Danzig joins as a collaborating director and production consultant. Bethany Clearfield is vocal arranger and vocal coach. Lighting design is by Heather Gilbert. Costume design is by Patrick Burns. Lucky Plush Productions (luckyplush.com) is a Chicago-based dance theater company led by founder and artistic director Julia Rhoads. 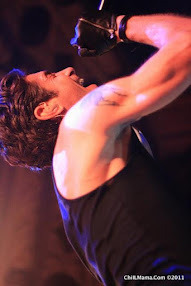 Lucky Plush is committed to provoking and supporting an immediacy of presence – a palpable liveness – shared by performers in real-time with audiences. 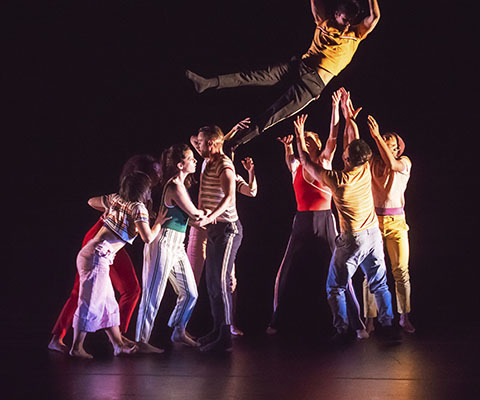 A unique hybrid of high-level dance and theater, Lucky Plush’s work is well-known for its carefully crafted dramatic and rhythmic arcs, pushing its artists to move beyond the predictable by earning the exciting slippage between – and surprising coherence of – technical choreography, casual dialogue, and humor. Though rigorously composed, much of the company’s work feels like it is generated spontaneously. Since its founding in 2000, Lucky Plush has created 30 original dance-theater works. 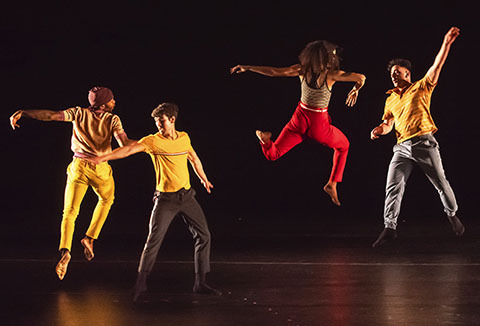 In addition to performing in Chicago, the company has presented in over 55 US cities from Maine to Hawaii, and its international partners span from New Zealand to Cuba. Commissioners include the Harris Theater for Music and Dance, Krannert Center at the University of Illinois, Flynn Center for the Performing Arts (VT), Links Hall Chicago, Clarice Smith Performing Arts Center (MD) and Museum of Contemporary Art Chicago. Lucky Plush has also collaborated with Lookingglass Theatre, Redmoon, Walkabout Theater and M5. Lucky Plush performances have been cited in many “Best of Year” performance round-ups including in the Chicago Tribune, Chicago Sun-Times, Chicago Reader, Time Out Chicago, Chicago Public Radio and Boston Globe. Lucky Plush Productions is a Harris Theater for Music and Dance resident company where its staff and sustainability initiatives are housed under the leadership of Managing Director Kim Goldman. 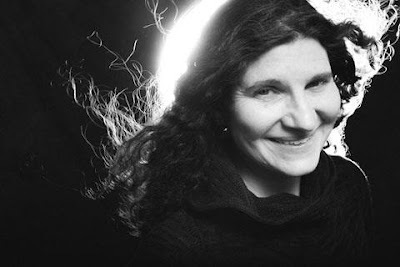 Julia Rhoads (founding artistic director) has created over 25 works with Lucky Plush Productions, several of which have toured extensively throughout the US and internationally. 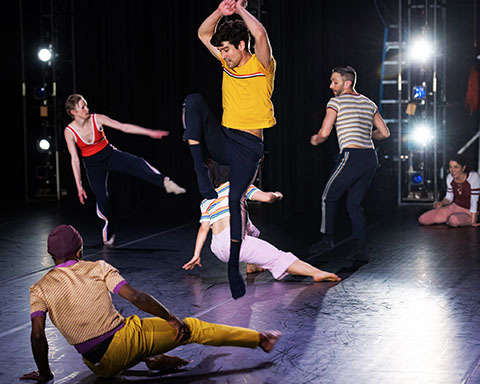 Additional choreography credits include Hubbard Street Dance Chicago, Steppenwolf Theatre, Lookingglass Theatre, Walkabout Theater, Redmoon, and River North Dance Chicago, among others. 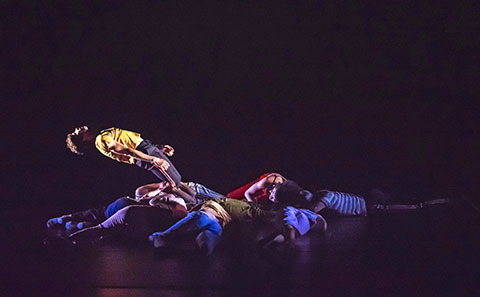 Rhoads is the recipient of an Alpert Award in Dance and her work with Lucky Plush is supported through fellowships/awards from National Dance Project, National Theater Project, National Endowment for the Arts, National Performance Network, Maggie Allesee National Center for Choreography, Illinois Arts Council, Chicago Dancemakers Forum, Jacob K. Javits Foundation. Under her leadership, Lucky Plush has received a MacArthur Award for Creative and Effective Institutions and a Fractured Atlas Arts Entrepreneurship Award. Rhoads is a former member of San Francisco Ballet and ensemble member of XSIGHT! Performance Group. 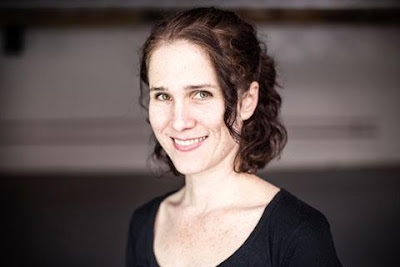 She received her BA in History from Northwestern University, her MFA in Performance from the School of the Art Institute Chicago, and she has taught in the dance and theater programs of several Chicago-area colleges and universities. She is currently a part-time lecturer and dance advisor at the University of Chicago’s Department of Theater and Performance Studies. Leslie Danzig is a collaborating director with Julia Rhoads/Lucky Plush Productions, where she co-created The Better Half, The Queue and Rooming House. For over a decade, Danzig was co-founder and resident director of the Chicago-based physical theater company 500 Clown, whose shows (Macbeth, Frankenstein, Christmas and Elephant Deal) performed in Chicago at venues including Steppenwolf Theatre Company and Lookingglass Theatre, and toured throughout the U.S. Other directing credits include Quest at The Actors Gymnasium; Wild Sound, composed by Wilco’s Glenn Kotche for Third Coast Percussion, with performances at MCA Chicago, Metropolitan Museum of Art (NYC), National Forum of Music (Wroclaw), and De Doelen (Rotterdam); Damon Kiely's The Revel with the House Theatre; Redmoon's The Elephant and the Whale with Chicago Children's Theater (with Frank Maugeri); Redmoon’s Hunchback at New Victory Theater (NYC); and Float with About Face Theater. Prior to turning to directing, she toured nationally and internationally as an actor with NYC’s Elevator Repair Service. Danzig is Assistant Professor of Practice in Theater and Performance Studies, University of Chicago. She received her BA from Brown University and PhD in Performance Studies from Northwestern University, and trained in physical theater at Écoles Jacques Lecoq and Philippe Gaulier. Recent projects include creating an original circus-theater production and stage directing Paddle to the Sea with Third Coast Percussion.